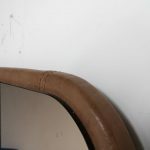 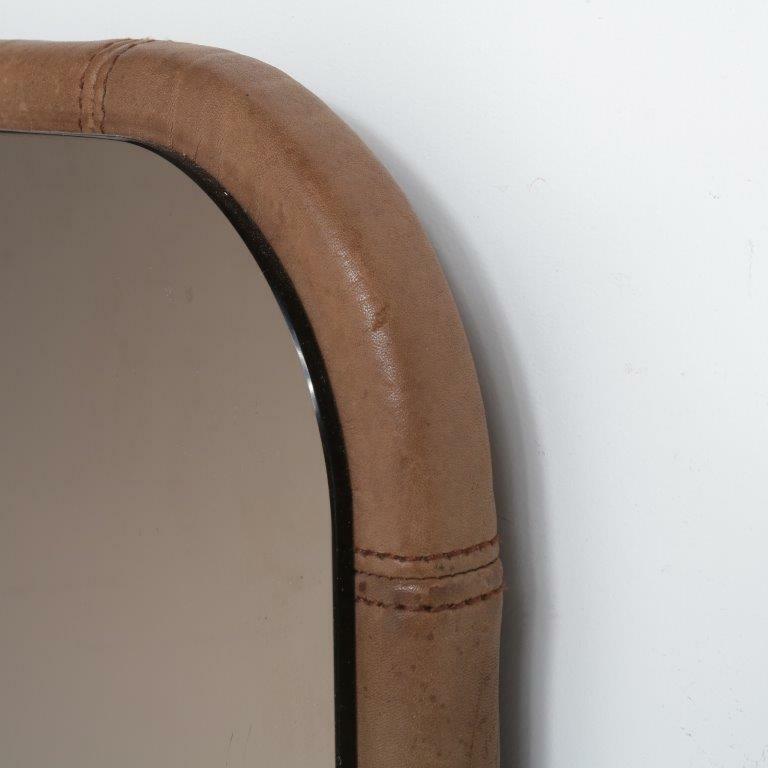 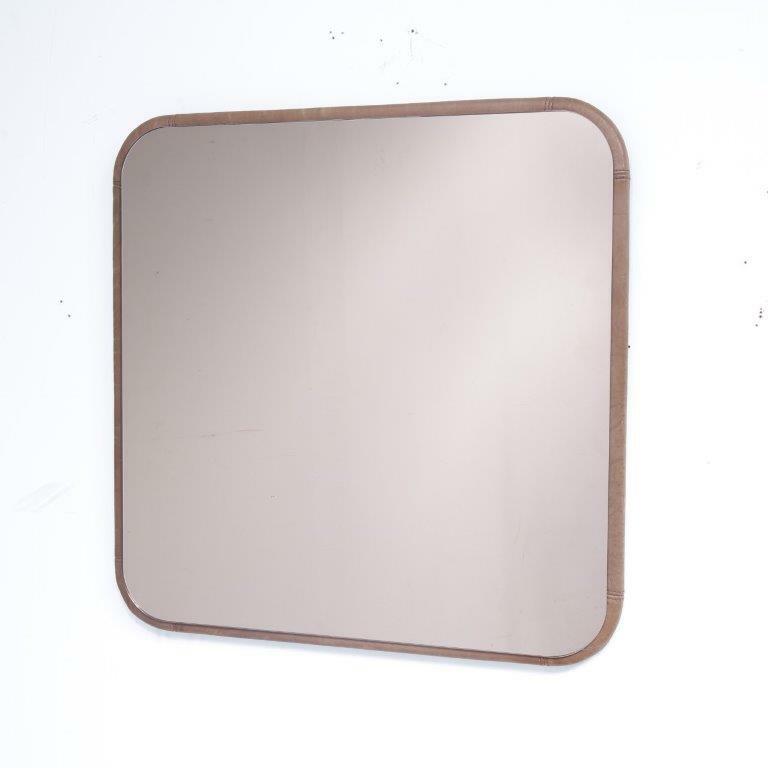 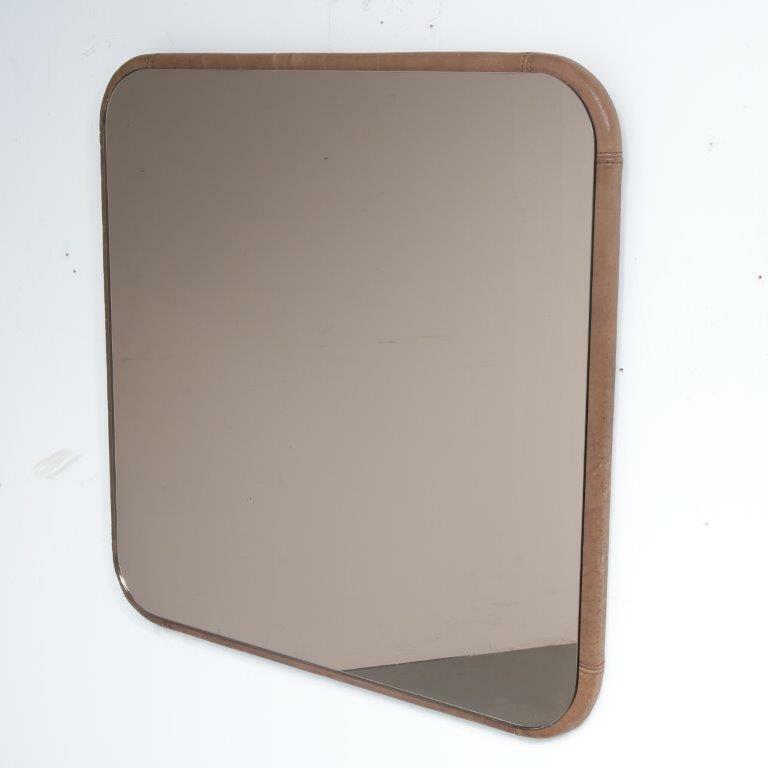 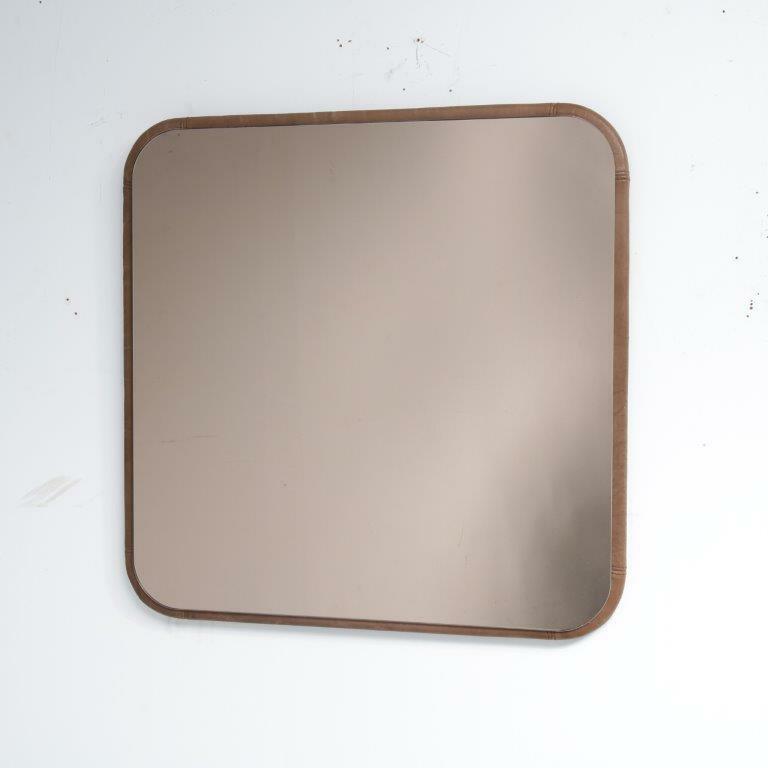 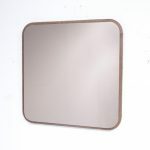 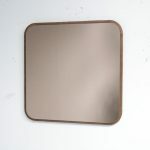 A beautiful wall mounted mirror with a unique brown leather frame. 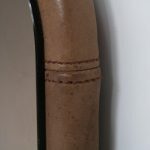 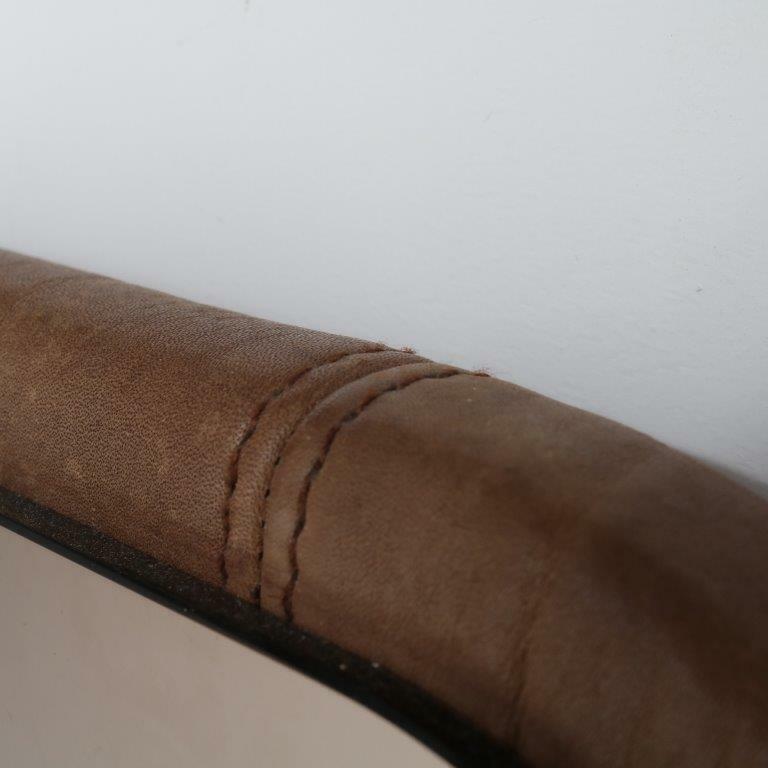 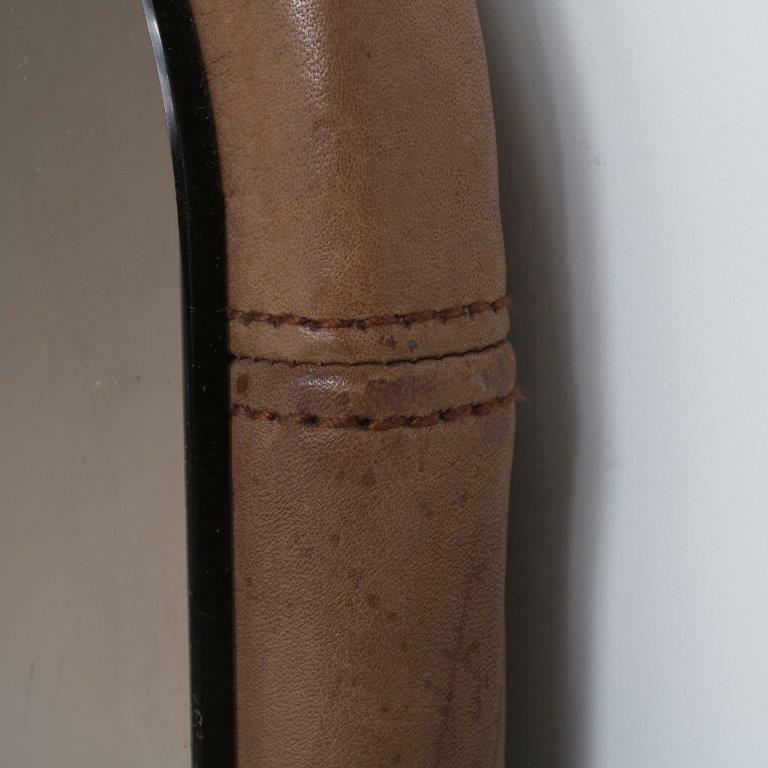 This is a subtle touch that creates the typical De Sede style: excellent craftsmanship and use of leather as a main material. 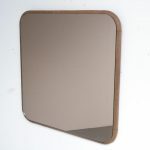 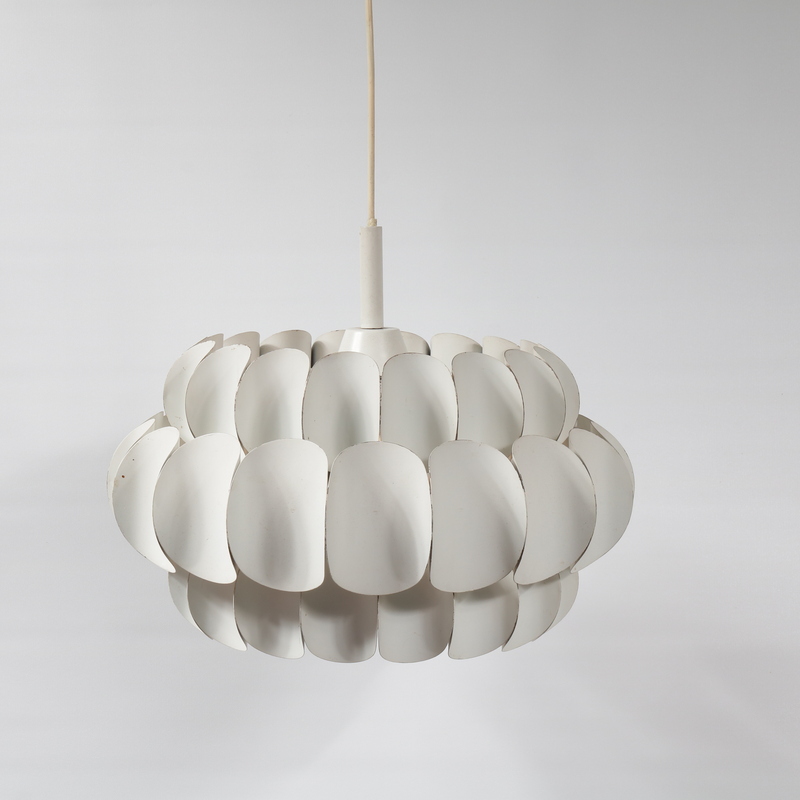 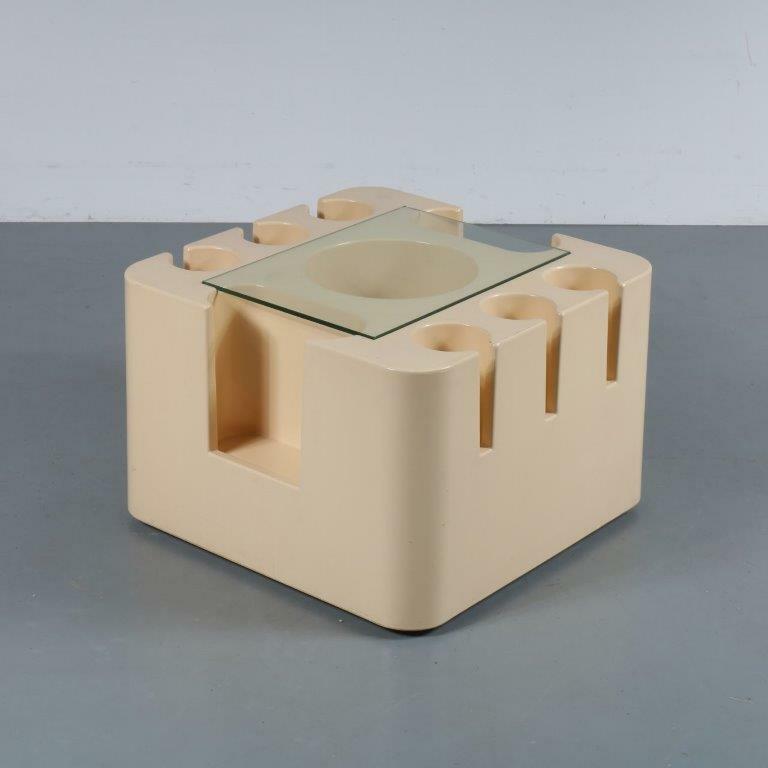 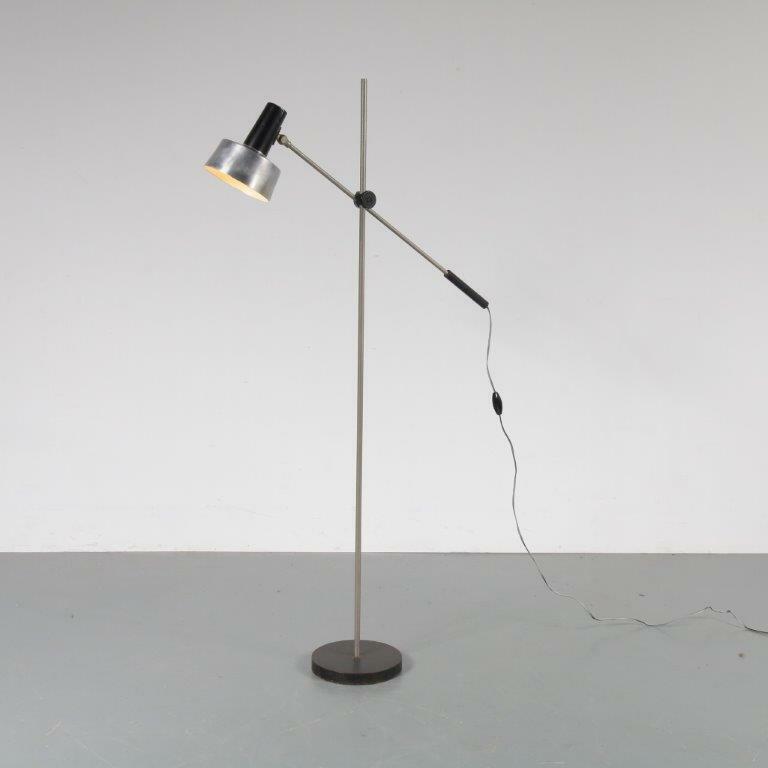 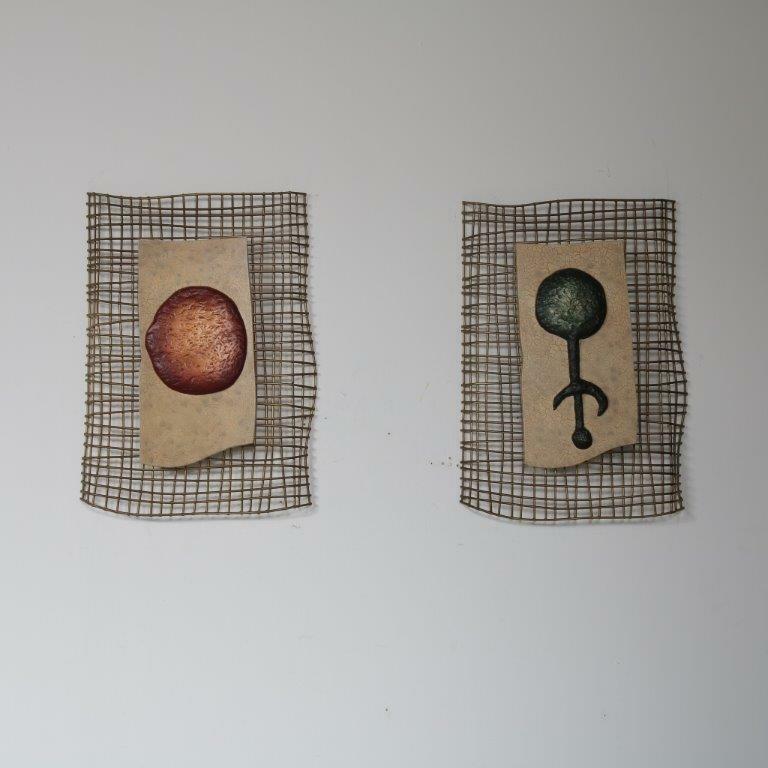 This lovely piece of Swiss design will make a wonderful contribution to any decor! It remains in good, vintage condition with minor wear consistent with age and use, preserving a beautiful patina.